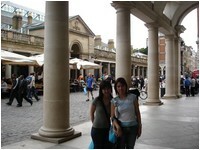 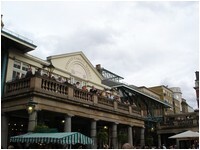 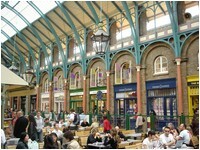 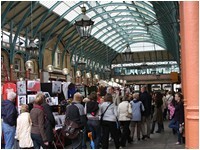 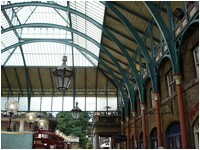 Covent Garden (pronounced /ˈkɒvənt/) is a district in London, England, located in the easternmost parts of the City of Westminster and the southwestern corner of the London Borough of Camden. 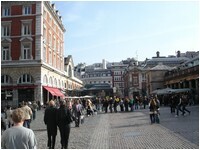 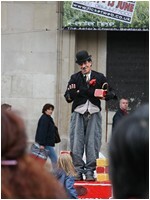 The area is dominated by shopping, street performers, and entertainment facilities, and it contains an entrance to the Royal Opera House, which is also widely-known simply as "Covent Garden", and the bustling Seven Dials area. 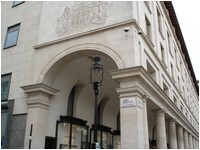 The area is bounded by High Holborn to the north, Kingsway to the east, the Strand to the south and Charing Cross Road to the west. 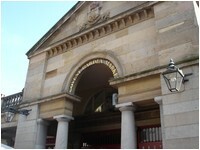 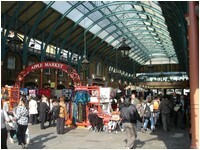 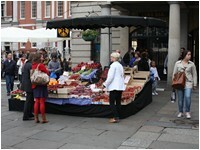 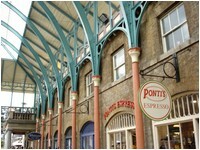 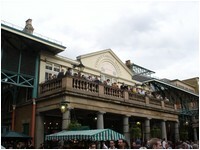 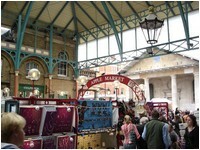 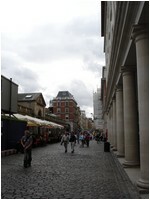 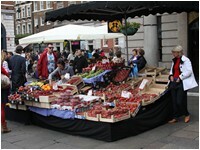 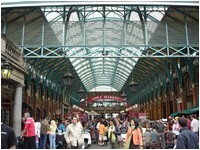 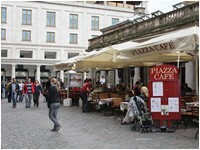 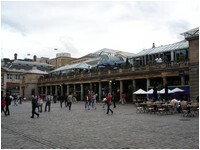 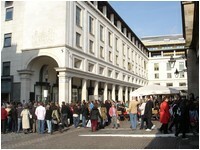 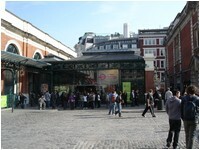 Covent Garden Piazza is located in the geographical centre of the area and was the site of a flower, fruit and vegetable market from the 1500s until 1974, when the wholesale market relocated to New Covent Garden Market in Nine Elms. 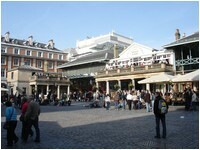 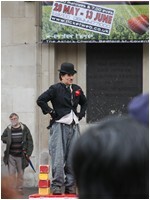 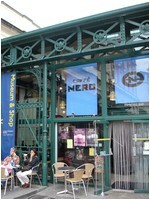 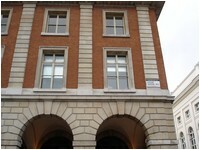 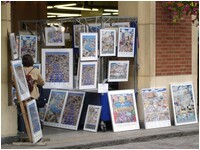 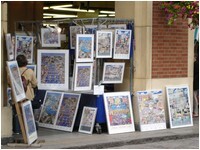 Nearby areas include Soho, St James's, Bloomsbury, and Holborn.